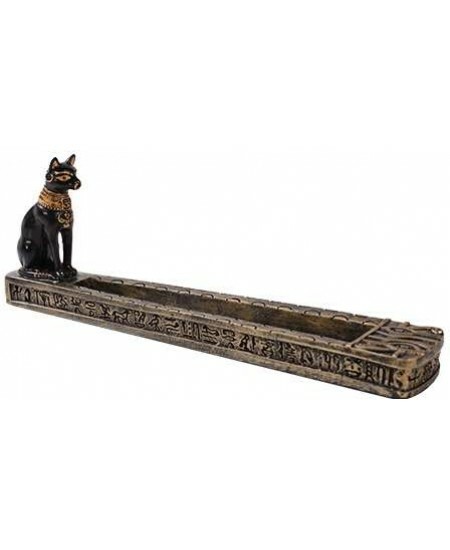 Finely detailed cast resin Egyptian incense burner has Bastet at one end and a deep well for catching ashes of stick incense. 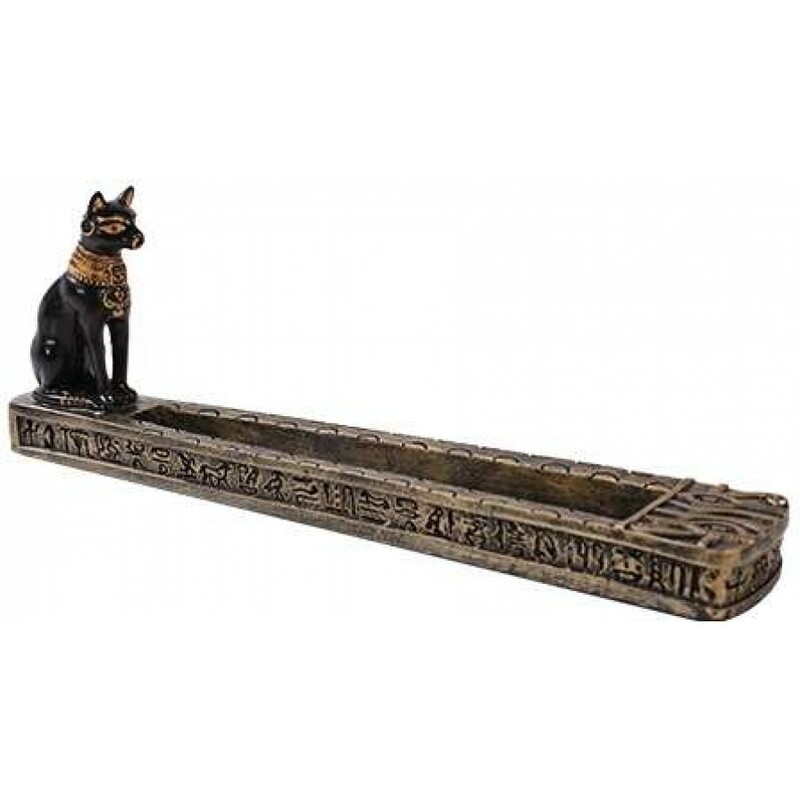 Add your favorite stick incense and let this lovely incense burner catch the ashes. 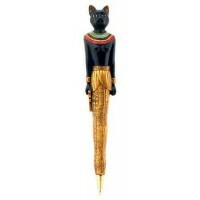 Cold cast resin and measures 10 1/4 x 1 3/4 x 3 1/2 inches. 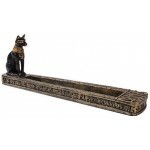 Item Number: PT-10863 | Approximate Size (Inches): 10.25 wide x 1.75 deep x 3.50 high | Approximate Shipping Weight: 1.00 lbs. 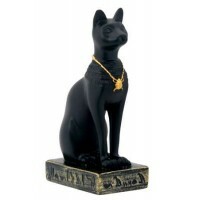 Black cold cast resin statue of Bast has gold necklace with scarab penda.. 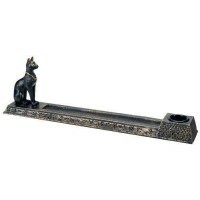 Stunning in black and gold cold cast resin, this candle holder is designed ..